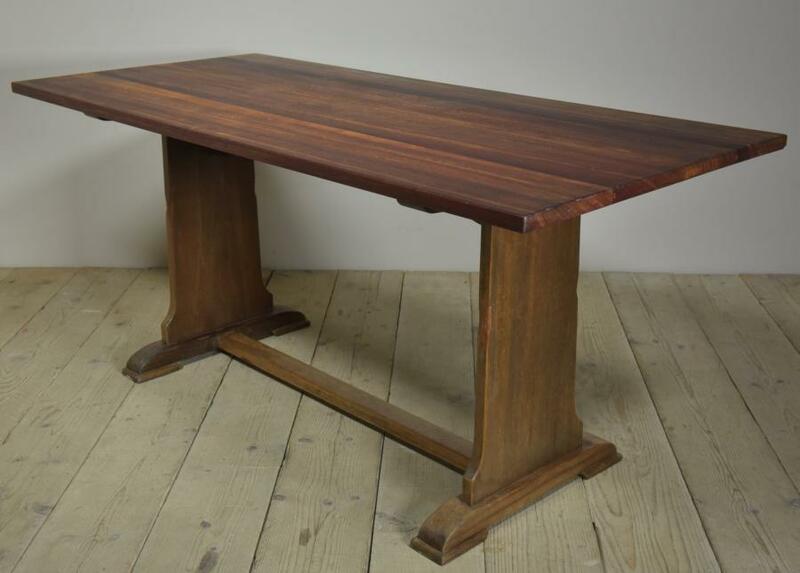 A good quality robust antique hardwood dining table from Hereford Cathedral School. Not sure of species but similar to Iroko. 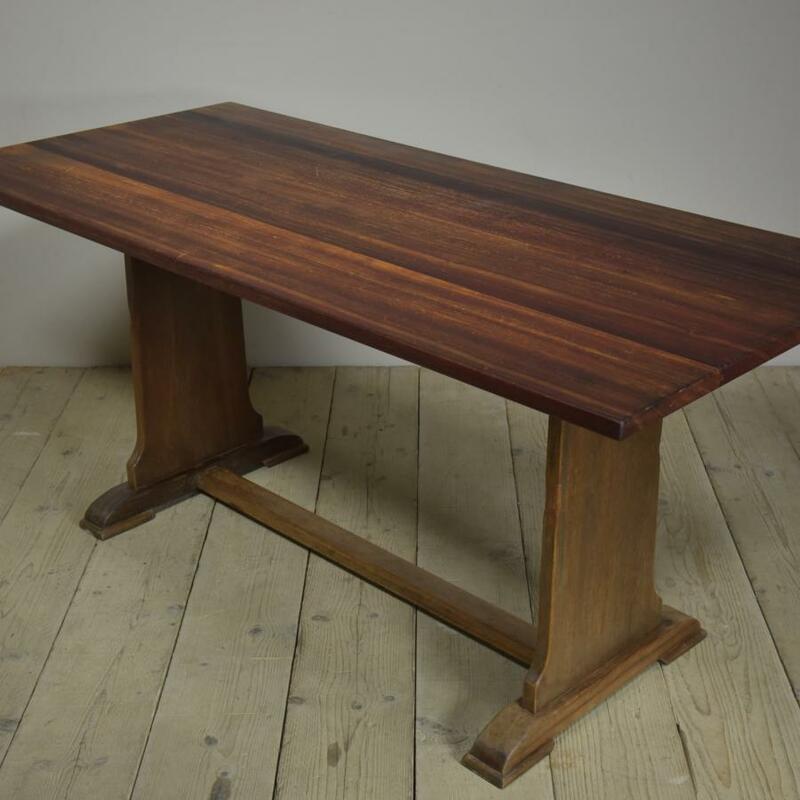 The table top has been finished with a hard wearing matt finish which is easy to reapply should the need arise.The base has had a wax finish.The top could also be waxed to give some level of sheen. Dimensions in inches/cms; 66"/168cms wide by 30"/76cms deep by 29.75"/76cms tall. There are several of these tables available.Approx 1930/40s For more / higher res images please see my blog which can be accessed through the news section of this (haes) website.